Two unbeaten streaks collided on Saturday night as the Houston Dash hosted the Boston Breakers. Ultimately, after a lengthy weather delay thanks to lightning in the area, Nichelle Prince‘s 23rd minute goal for the Dash would prove the difference between those two streaks. The Dash are now unbeaten in their last six matches, and have passed the Orlando Pride on the table to move into sixth place. The ball is still rolling for the Houston Dash. 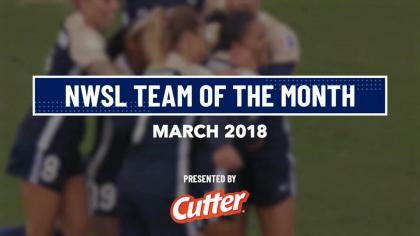 Andressinha, the Player of the Week for Week 13, provided the assist as Prince shrugged off Boston Breakers defender Allysha Chapman. Prince one-timed the shot with her right foot, and found the bottom right corner under diving Boston goalkeeper Abby Smith. That goal would stand until the final whistle as the game-winner. Breakers forward Adriana Leon had two early chances, but was unable to find the back of the net for either. In the 12th minute, new USWNT call-up Margaret Purce was able to stay on the ball despite pressure from Carli Lloyd and defender Janine Van Wyk. Purce sent a cross in from just outside the box, but Leon’s shot rocketed off the bottom of the crossbar and straight down. The ball popped back up, but never crossed the goal line. Leon would get another look at goal in the 36th minute, but once again was unable to convert for the equalizer. Smith once again proved why she is crucial for the Boston Breakers this season, finishing the night with ten saves. Despite allowing the goal, she did plenty of work in the second half to try and keep Boston in the game. Carli Lloyd would have surely had a Goal of the Week contender had it not been for Smith’s big save in the 73rd minute. The Dash finished up the night on top of most of the stats, outshooting the Breakers 19 to 10, with 11 of those on target compared to Boston’s four. Andressinha had another influential night as playmaker, providing five key passes in addition to her assist. She also had an overall passing accuracy rate of 93.1%, and created six chances for the Dash. Houston takes their streak on the road after the NWSL returns from the international break. They’ll head to Providence Park and take on the Portland Thorns on August 5 at 3:50 p.m. ET on Lifetime. The Breakers will look to bounce back from their first loss in a while, and they’ll get the chance to do it at home on August 4 against FC Kansas City. Match ends, Houston Dash 1, Boston Breakers 0. Second Half ends, Houston Dash 1, Boston Breakers 0. Substitution, Houston Dash. Sarah Hagen replaces Andressinha. Attempt saved. Janine Beckie (Houston Dash) right footed shot from the centre of the box is saved in the top left corner. Assisted by Poliana. Attempt saved. Andressinha (Houston Dash) right footed shot from outside the box is saved in the bottom left corner. Assisted by Camille Levin. Attempt saved. Janine Beckie (Houston Dash) right footed shot from outside the box is saved in the bottom right corner. Assisted by Cambria Privett. Attempt missed. Rachel Daly (Houston Dash) right footed shot from the centre of the box misses to the left. Assisted by Andressinha with a cross following a corner. Corner, Houston Dash. Conceded by Abby Smith. Attempt saved. 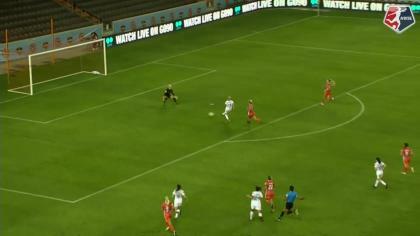 Carli Lloyd (Houston Dash) right footed shot from outside the box is saved in the top centre of the goal. Assisted by Rachel Daly. Attempt saved. Margaret Purce (Boston Breakers) left footed shot from the centre of the box is saved in the centre of the goal. Assisted by Tiffany Weimer. Substitution, Houston Dash. Cambria Privett replaces Morgan Brian. Attempt missed. Carli Lloyd (Houston Dash) left footed shot from the right side of the box is too high. Assisted by Andressinha. Substitution, Boston Breakers. Tiffany Weimer replaces Rosie White. Attempt missed. Margaret Purce (Boston Breakers) left footed shot from outside the box is too high. Assisted by Katie Stengel. Attempt missed. Rosie White (Boston Breakers) left footed shot from outside the box is too high. Assisted by Allysha Chapman. Attempt missed. Angela Salem (Boston Breakers) left footed shot from outside the box misses to the left. Assisted by Katie Stengel. Attempt saved. Camille Levin (Houston Dash) right footed shot from outside the box is saved in the centre of the goal. Second Half begins Houston Dash 1, Boston Breakers 0. First Half ends, Houston Dash 1, Boston Breakers 0. Attempt blocked. Poliana (Houston Dash) header from the left side of the six yard box is blocked. Assisted by Andressinha with a cross. Corner, Houston Dash. Conceded by Rosie White. Attempt saved. Rachel Daly (Houston Dash) right footed shot from the centre of the box is saved in the centre of the goal. Assisted by Nichelle Prince. Attempt missed. Margaret Purce (Boston Breakers) right footed shot from outside the box misses to the left. Assisted by Abby Smith. Attempt saved. Janine Beckie (Houston Dash) right footed shot from outside the box is saved in the bottom left corner. Assisted by Andressinha. Attempt saved. Adriana Leon (Boston Breakers) right footed shot from the centre of the box is saved in the centre of the goal. Attempt saved. Nichelle Prince (Houston Dash) left footed shot from outside the box is saved in the bottom right corner. Assisted by Janine Beckie. Attempt missed. Rosie White (Boston Breakers) left footed shot from the left side of the box misses to the right. Assisted by Adriana Leon. Attempt saved. Carli Lloyd (Houston Dash) left footed shot from the left side of the box is saved in the bottom left corner. Assisted by Rachel Daly. Goal! Houston Dash 1, Boston Breakers 0. Nichelle Prince (Houston Dash) right footed shot from the centre of the box to the bottom right corner. Assisted by Andressinha with a through ball. Attempt missed. Janine Beckie (Houston Dash) right footed shot from outside the box is close, but misses to the left. Assisted by Carli Lloyd. Attempt missed. Julie King (Boston Breakers) header from the centre of the box is close, but misses to the right. Assisted by Rosie White following a set piece situation. Attempt saved. Megan Oyster (Boston Breakers) header from the centre of the box is saved in the centre of the goal. Assisted by Margaret Purce with a cross. Adriana Leon (Boston Breakers) hits the bar with a right footed shot from the centre of the box. Assisted by Margaret Purce with a cross. Attempt saved. Rosie White (Boston Breakers) header from the centre of the box is saved in the top right corner. Assisted by Margaret Purce with a cross. Attempt saved. Andressinha (Houston Dash) right footed shot from outside the box is saved in the bottom left corner.